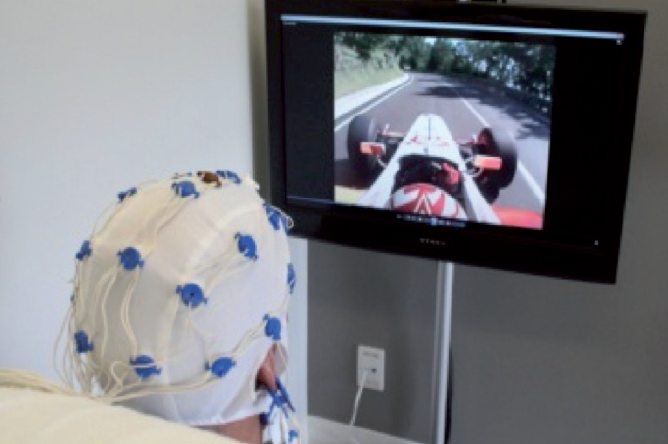 Neurofeedback is now known as an effective treatment to help reduce symptoms following a traumatic brain injury and Neuroperforma is the most advanced clinic in the field in Quebec. Did you know that the US Army has been using the same system as Neuroperforma to treat more than 8,000 soldiers to date? Moreover, their success rate is 92%, even with very severe and complex cases. When a person suffers a head impact and presents symptoms such as dizziness, headaches, memory loss or vomiting, it is important for her to go to the hospital for an assessment. In many cases, the emergency doctor will prescribe a brain scan or a magnetic resonance imagery procedure to make sure that no damage has occurred to the structures of the brain. But these evaluations do not analyze brain activity. According to the neurologist Jonathan Walker, in 85% of the cases, these tests turn out as normal, even when patients present severe symptoms and sequels. When a person suffers from a head impact, neurons will die, connections will be damaged and this will affect brain activity. For this reason, we use quantitative electroencephalography (QEEG), which allows for a precise and detailed analysis of brain activity. The QEEG allows to identify brain regions whose activity is abnormal and which we will want to train. The system also identifies brain areas between which communication was affected and that we will want to strengthen. This technique is very accurate for identifying a head injury. In addition, it provides the enormous advantage of being objective, so the result is not based solely on the interpretation of symptoms or clinical signs. Based on the results of the assessment, we can target the brain areas to be trained back to normal using neurofeedback. 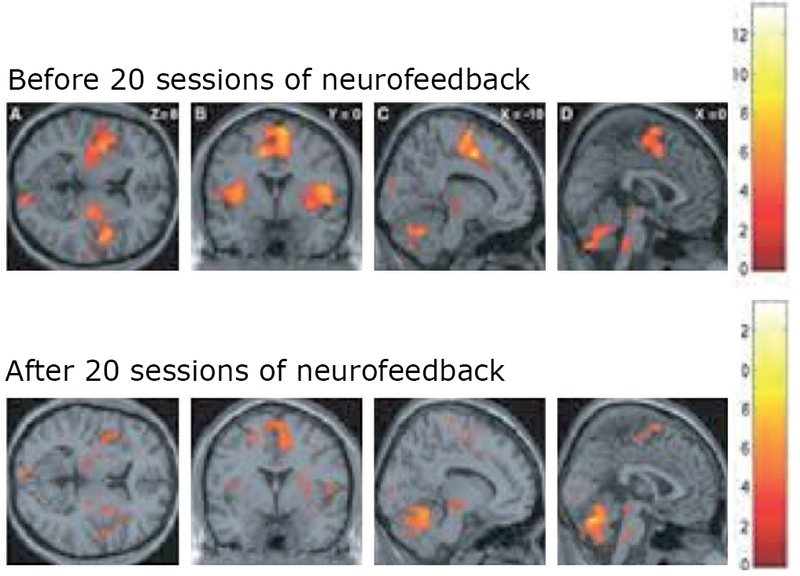 Neurofeedback is a technique used to stimulate or calm specific brain regions. With a 19 electrodes cap placed on the head, the system reads the brain activity in 2400 locations in real time. To modify brain activity in specific areas, the individual sits in a chair in front of a television screen. The system will be programmed to play a video only when the target regions will improve their activity. The brain will take a few minutes to identify which regions are responsible for making the video play. Thereafter, the brain will, by itself, alter its brain activity in the target areas in order to play the video. For instance, if the targeted regions are responsible for concentration, this function will be improved permanently. Neurofeedback is an effective technique, supported by over 2000 scientific articles and endorsed by several doctors and eleven international professional societies. According to a study from the US Army and presented in September 2013, neurofeedback is the most effective approach to date to treat many persistent symptoms following a traumatic brain injury. And improvements are permanent! The assessment done by Neuroperforma does not consist of a medical diagnosis. Our work is complementary to the evaluation and treatment provided by your healthcare professional. 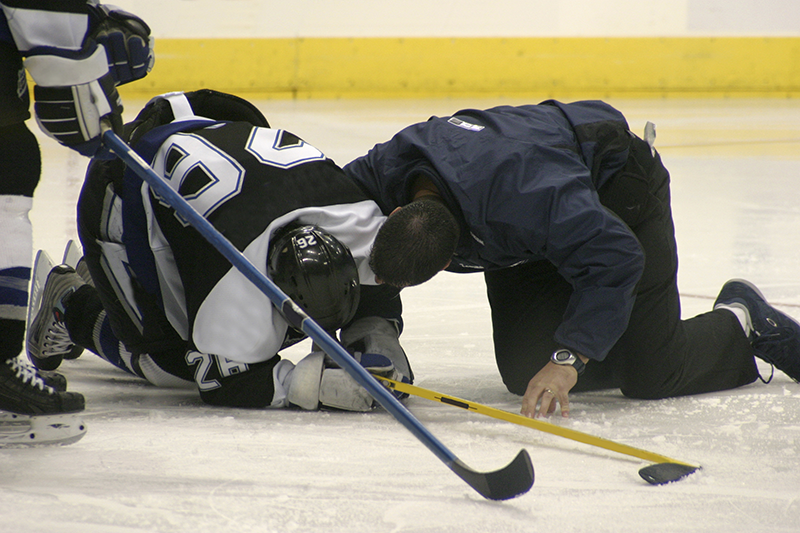 The services offered by Neuroperforma are reimbursed by several insurance companies. Contact us for more details!